Scheduled and performed by our doctors of audiology are subject to professional fees. Insurance often covers these services. The evaluation is done to determine if a hearing loss is present, and if so, to detail the type and severity of the hearing loss. It also may provide insight into the cause of the hearing loss as well as provide guidance for our doctors of audiology in making appropriate treatment recommendations. 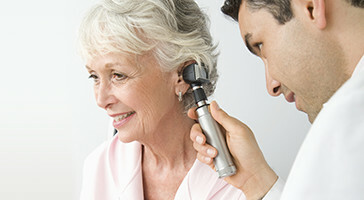 The diagnostic hearing evaluation consists of a variety of tests to determine the unique aspects of your hearing loss, as well as the level at which you can detect and understand speech. This evaluation can be conducted on people of any age, from newborn infants to seniors. The results will help us determine if you have hearing loss, your ability to understand speech and how hearing aids will improve your ability to hear. At the hearing device fitting, you will receive the hearing aids that best fit for your hearing needs. They are programmed based on a prescription that is specific to each person’s hearing loss. Our audiologists may make adjustments after you try the hearing aids to make sure the settings and fit are ideal for you. Some minor hearing aid repairs can be done in the office setting in a short period of time; others will need to be sent to the manufacturer for repair. Our audiologist assistant can help determine what kind of a repair is necessary if you feel your hearing aid is not working properly. We offer a full range of custom hearing protection products such as musician plugs, swim plugs, sleep plugs, hearing protection for hunting and other recreational and occupational uses. Helton Hearing Care is proud to support those who have served our country. We work with the Montana VA and the Veterans Choice Program to provide premium hearing technology that is comfortable, easy to use and fits the lifestyles and individual needs of our clients.